Creative Melissa Designs – Page 2 – creative inspiration for design, home, events & fun! creative inspiration for design, home, events & fun! Cute couple, Giuliana and Bill are expecting a little bambino! Cool your pup down with this frozen treat! 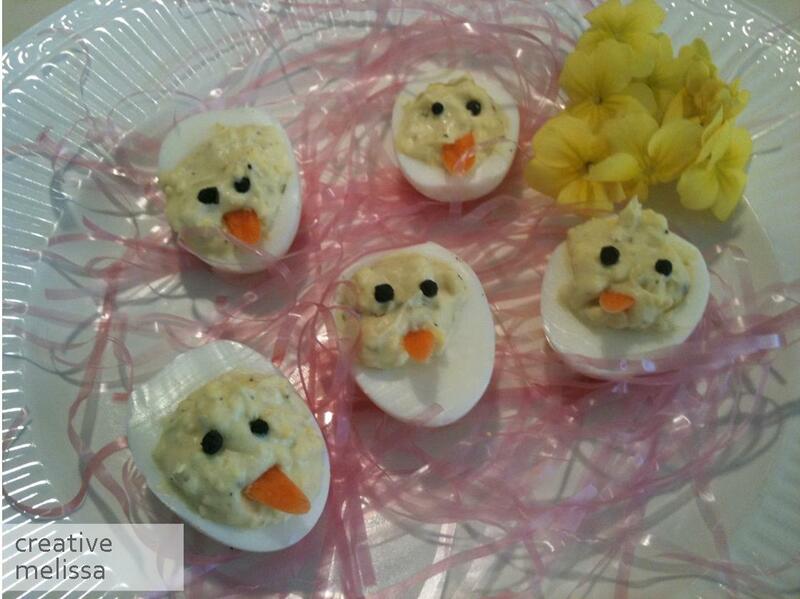 Deviled Chick Eggs! Happy Easter! I had to quickly take this picture before the rest of these chickadees were gobbled up! I turned deviled eggs into chicks with a cut carrot and two pepper corns. Cute! Happy Easter Everyone! For my Save The Date invitations, I knew I wanted to do something unique. 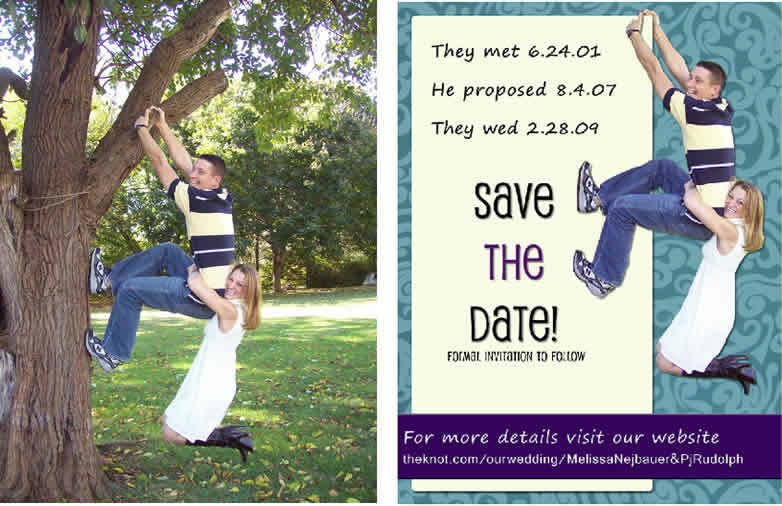 I used a few skills in photoshop to create a funny and personal Save the Date magnet to send to guests! Running out of time before “Love Day”? Here are a couple ideas for some cute, DIY, last minute Valentine’s Gifts. Any girl knows that compiling wedding day attire is not an easy feat. Here’s my winter wedding attire from head to red shoes! 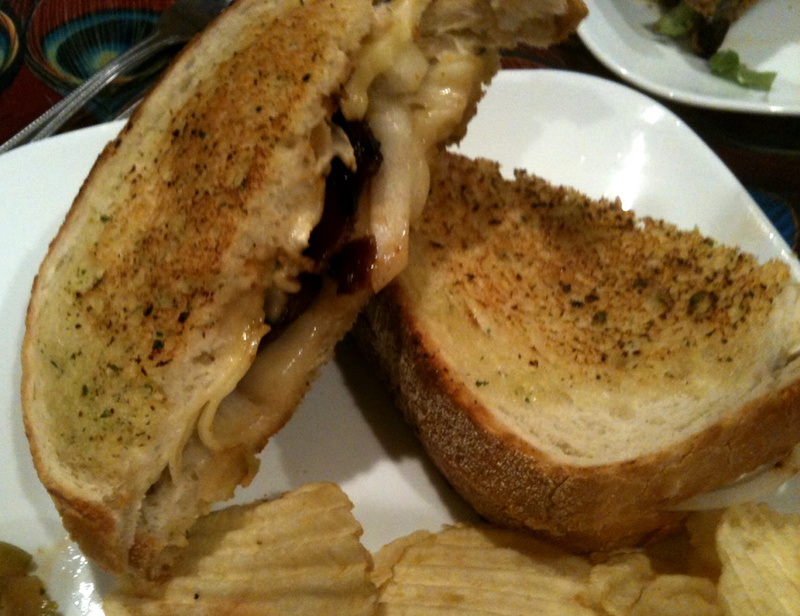 Brie Cheese, bacon, warm slices of granny smith apples, and drizzled with honey. The bread is herb-buttered and griddle toasted. 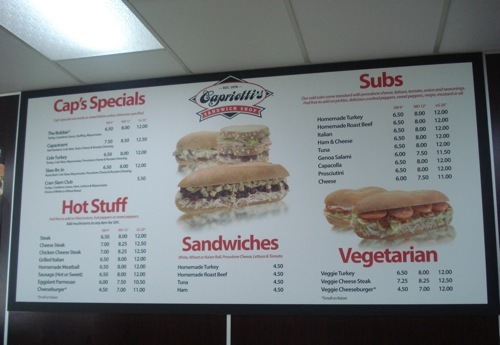 They may be known for the Bobbie but I prefer the Cole Turkey Hoagie. Capriots’s roasted turkey puts processed cold cuts to shame. Fresh and I am sure much healthier. TIP: ask for the cole turkey with lettuce and tomato. Skip the pizzas and burgers at Iron Hill. 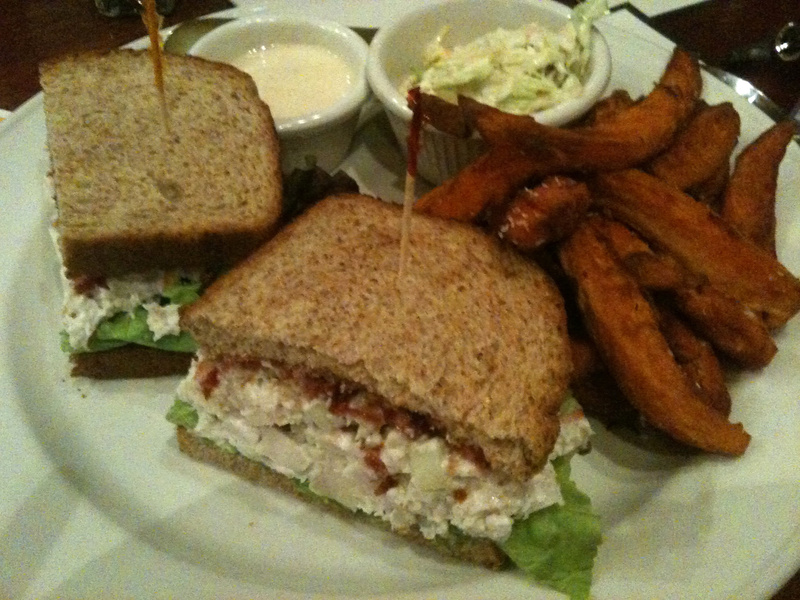 Their Chicken Salad is fresh and filling. Apples, chunks of chicken (no shredded stuff here), cranberry spread and perfectly seasoned mayo. TIP: Get sweet potato fries instead of regular fries and ask for a side of the Bourbon Vanilla Sauce. MMMM! The Monte Crisco! This sandwich is a sweet and savory marriage that lives happily ever after. 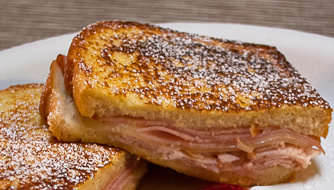 Turkey, Ham and Swiss cheese grilled between two thick slices of fresh bread and sprinkled with powered sugar. Dip every bite in maple syrup. This is a treat so it’s no wonder Carlino’s only has this sandwich as a special. Is there an awesome sandwich I should try? Comment to this blog and let me know! So easy, so crispy, so tasty! These tasty treats are perfect for a bbq or sandwich-dinner (think sloppy joes or pulled pork sandwiches). Wash potatoes. Slice thin, about 1/8 of an inch – use a mandolin if you have one (no need to peel the potatoes). Spread a paper towel on a baking sheet and spread the sliced potatos on the baking sheet. Allow the potatoes to air dry for 15 minutes to an hour. Preheat oven to 450. Remove the paper towel from the cookie sheet and dab the potato slices with paper towel (a dry potato is a crispy potato!). Drizzle the oil and butter onto potatoes and toss to coat. Spread the coated potato slices into one layer on the cookie sheet. Bake 15-25 minutes or until the edges are brown and crispy. Mix “topping” ingredients together in a large mixing bowl. 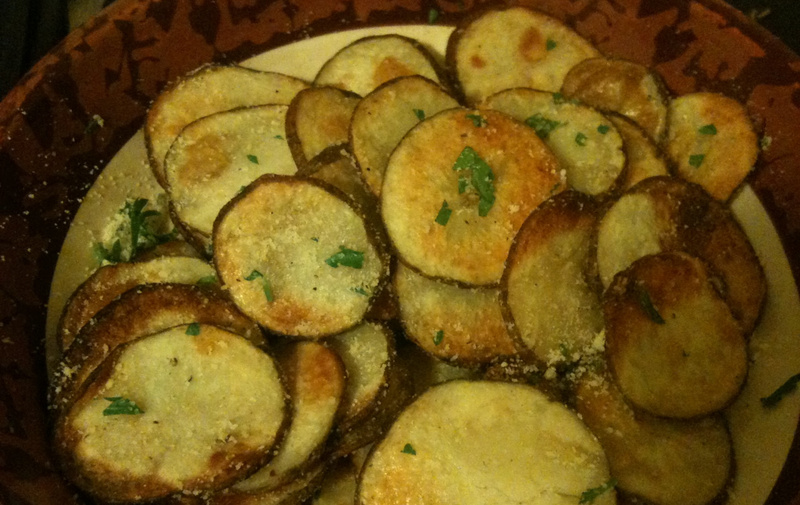 Once the chips come out of the oven, dump them in the bowl and toss with topping mixture to coat. Serve! Mmmm!